Four Service Notion of Airwheel Intelligent self-balancing Scooter. Abstract: The establishment of Airwheel dates back to 2014, and it entered the sector of scooter in the year of 2013. Before long, it leapt to fame as a worldwide famous scooter-manufacturing firm. It boasts the cutting-edge and advanced R & D centre situated in L.A., USA. This is not the end. The success of Airwheel should be owed to its service notion in the operation. So far, Airwheel has been a household name in the sector of scooter internationally. Any scooter-lover knows its name. 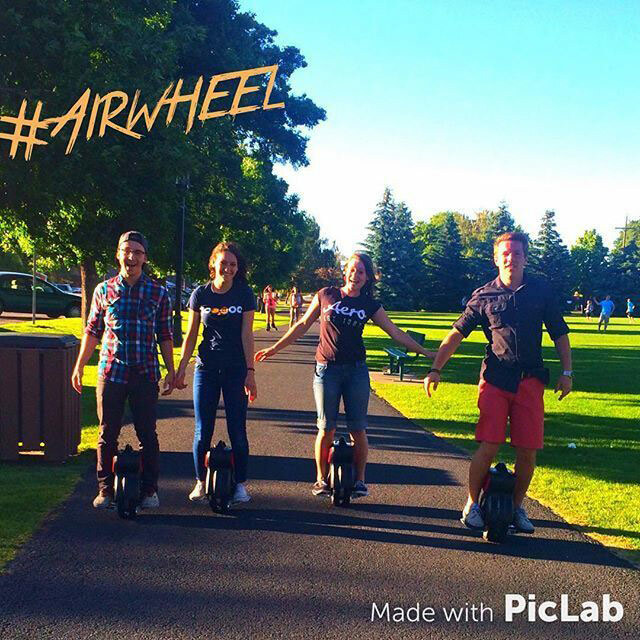 The establishment of Airwheel dates back to 2014, and it entered the sector of scooter in the year of 2013. Before long, it leapt to fame as a worldwide famous scooter-manufacturing firm. It boasts the cutting-edge and advanced R & D centre situated in L.A., USA. This is not the end. The success of Airwheel electric scooter should be owed to its service notion in the operation. Airwheel is keen to exchange opinions and share its fruitful achievements with customers in a simple manner. It is Airwheel's unyielding aim to satisfy and exceed customers' anticipation. We believe that trust is a pleasure worth passing down via every customer, which in turn challenges us to give genuine responses every day. Being an adventurer of science-tech, Airwheel is more of a pilgrim of the nature deep inside. Following the notion of “Eco-friendly Innovation”, we've always been seeking the balance between science-tech and the nature, which runs through every part of the design, R&D, manufacturing and sales. It is our ideal to bring our customers back to the nature with Airwheel's portable intelligent transport products. Focusing on the development of safe, solid and humanized products, Airwheel intelligent self-balancing scooter is broadly identified with its modern concise design and fresh comfortable user experience. Airwheel owes its standard-setting products to the care of details and a customer-oriented design concept. As the leader in global portable intelligent transport industry, Airwheel has built long-term partnership with tech titans like SONY and Panasonic, Google and Qualcomm. With advantages in capital and global strategy, Airwheel will continue to provide customers with all-around and interactive service via efficient and humanized resource integration and cooperation. Therefore, the great success fell to Airwheel, not by coincidence. It is not so much as a windfall as a belated reward. Next：Dan za šport: Pridi in preizkusi Airwheel!